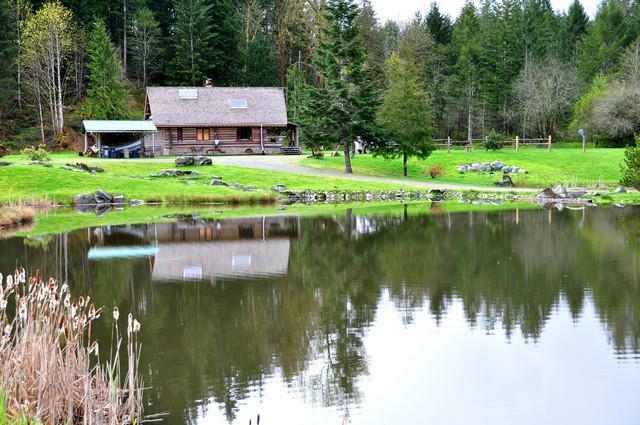 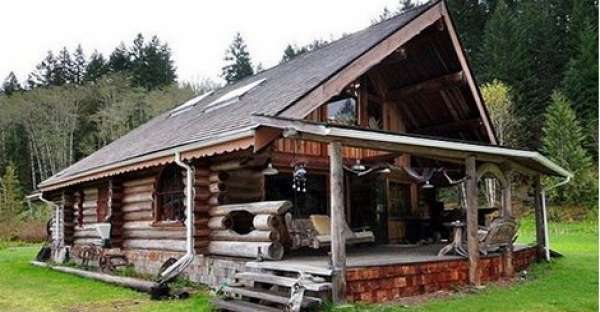 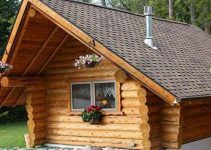 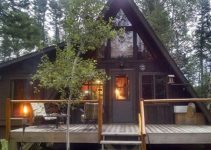 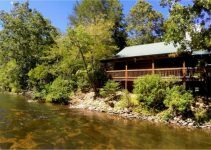 This captivating log cabin is set on 11 acres that has its own small lake and located within a five minute walk to some of the best swimming, fly and drift fishing at Cowichan River on Vancouver Island, in beautiful British Columbia, Canada. 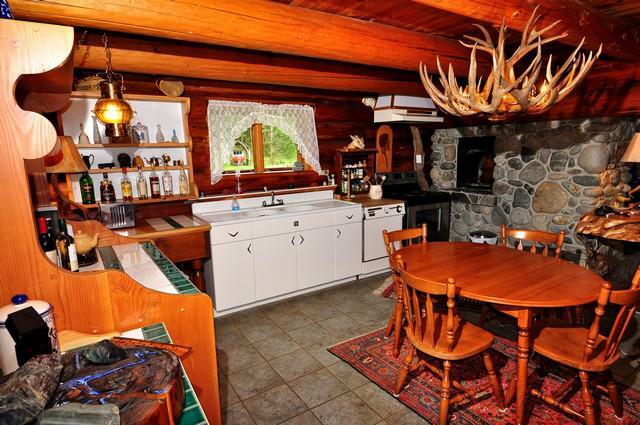 This log cabin has a true rustic frontier feel that is rarely found today. 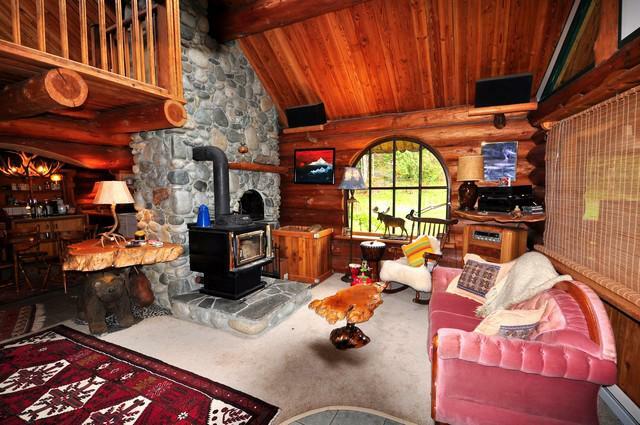 The wood burning river rock fireplace and the simple yet cozy interior will induce feelings of contentment and a peaceful, quiet atmosphere.